I was not really brought up with big birthday bashes and party-hooha around birthdays. And after ten years here, I am still amazed when Dutch people congratulate ME at my daughter’s party. Celeste is very adamant in convincing me she will not tolerate the same: there will be a great party and loads of fun! So she has been telling me which cake she wants for a week now. And apparently, the “being in the middle of the circle with her presents while everyone else sings for her” at half gran’s house last year went down well, because that needs to happen again too. Every morning for the last 4 days she has woken up asking “how many days til my birthday?”. So I recently stumbled upon this nice link and if there is one thing that I can easily do, then it definitely is bestowing wheelbarrows of love on her.. 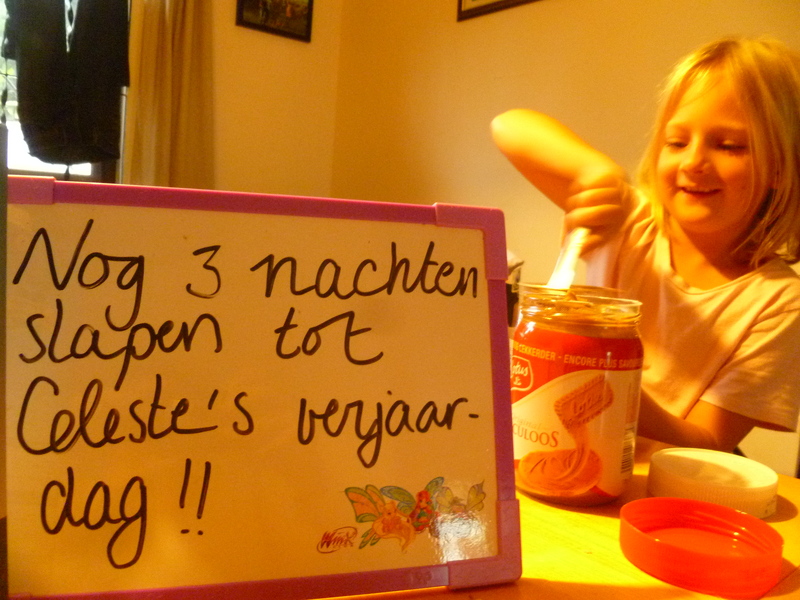 This entry was posted in English, Project 365 on May 22, 2013 by Sofie Ponsaerts.